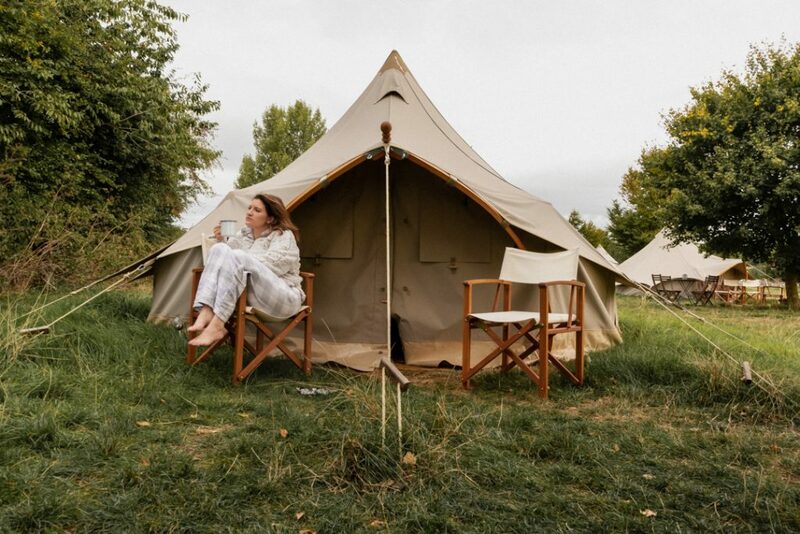 Glamping is one of our favorite ways to experience the UK – we get to stay in the fresh air of the UK countryside without losing all of the luxuries of a hotel. 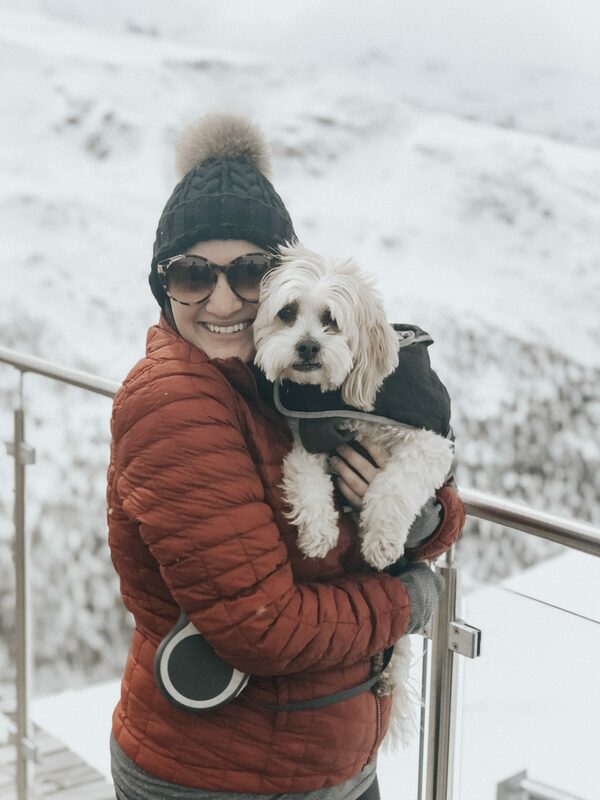 And while it’s fun while the weather is warm in the summer, we’re learning to appreciate glamping even more in the shoulder season. Can you picture anything more romantic than cozying up around a fire with a bottle of wine to stay warm at night? So, when the idea of staying at one of the glamping sites listed on Campsites.co.uk came up, we just knew that we had in one more glamping trip for the summer. We perused the glamping options on the website and ended up spending a weekend at Field725 in Frome, Somerset at the beginning of September. 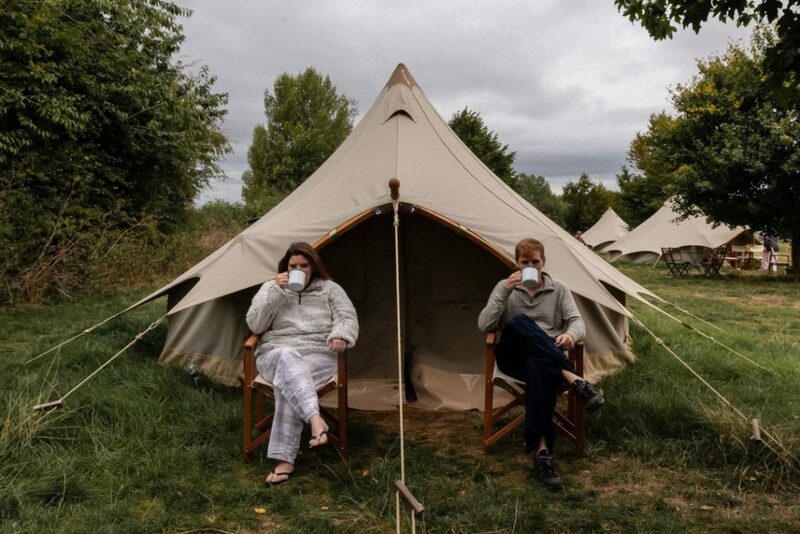 Which, in our opinion, is perfect glamping time! 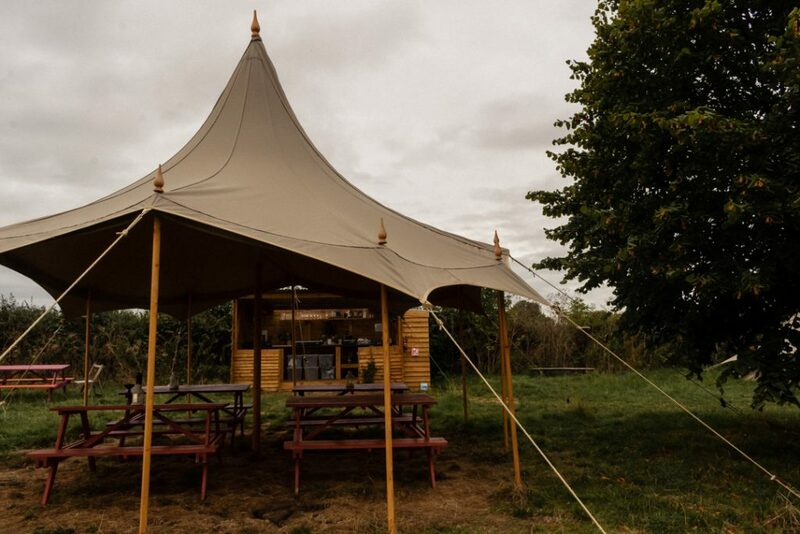 Field725 is a new glamping site in Somerset, and we are so impressed with how much they’ve managed to do in their first season! The site was previously an event site (weddings, festivals, etc.) but opened as a glamping and camping site in May 2018. Glamping options include kula tents; a shepherds hut; and, even a glam-PLANE. There is also camping on site, meaning that camper vans and RVs can pull up and park and still take advantage of Field725’s facilities. 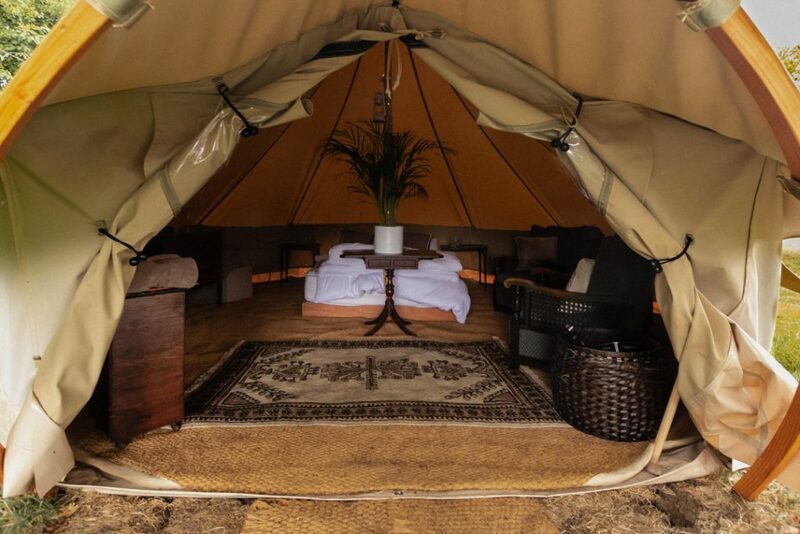 The facilities for glamping include two showers, two compost toilets, and a glamping kitchen, where there are gas stoves, a kettle, and coffee & tea. Each tent also has it’s own outdoor fire pit where you can cook over an open fire. The site also offers various games, and plenty of grass if you’d like to bring your own! We spent two nights in a kula tent at Field725, but barely feel like we slept in a tent at all! The bed was extremely comfortable, and the tent felt more spacious than most European hotel rooms. When you step inside, it’s easy to forget that you’re glamping! 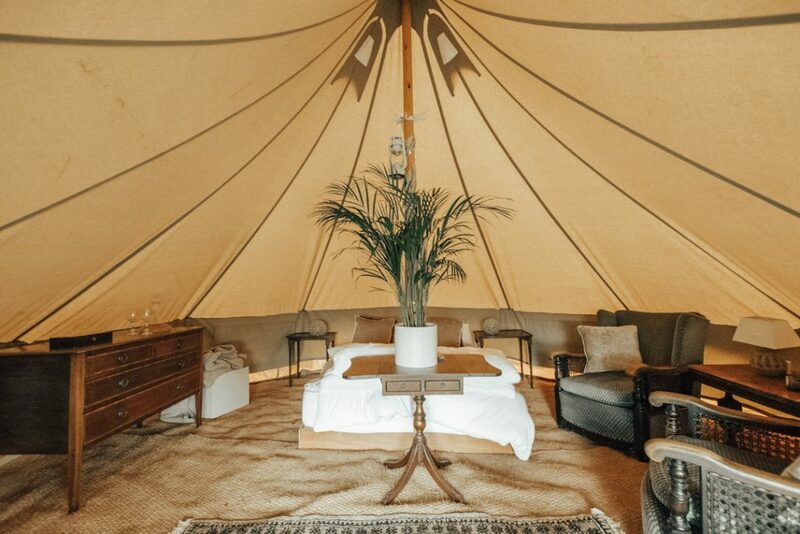 We loved the vintage vibe inside the tent; the antique furniture made us feel more like we were going on a safari than glamping in Somerset! The tent had plenty of furniture and storage, plus some greenery and fairy lights that added a nice romantic feel. Although the site is open to families, it’s easy to escape to your own glamping tent if you’re looking for a more romantic setting; arriving to our tent lit up in fairy lights and a bottle of bubbly in the cool box was the perfect way to start a weekend away! Our time at Field725 mainly consisted of drinking wine by the fire in the evening and reading our books by the fire in the morning (with a cup of coffee, of course!). We were tucked in the corner of all the kula tents, so often felt like we had the entire place to ourselves. Our only request? Wood burning fires inside the tents. Our first night was of course the first chilly night of the year, and it took us quite awhile to feel warm enough to fall asleep! We were surprised that there weren’t any fires in the tent, similar to other glamping properties we’ve stayed at. But, body temperature aside, the weekend in our kula tent felt like a true luxury! The world was on our side the weekend we stayed at Field725, because it was coincidentally the weekend of the Frome Cheese Show, which happens every September. Frome itself is a much larger town than we expected, with plenty of food, drink, and shopping options. River House is a delicious cafe with a very tempting brunch menu. Brewed Boy and Palmer Street Bottle are both great for craft beer – click here for more craft beer recommendations around the world! And for those in the mood for shopping, Catherine Hill has a lovely range of independent boutiques. A bit outside of Frome is Nunney Castle, as well as a few small villages with local pubs. We also visited Wraxall Vineyard during our stay. The vineyard is about thirty minutes from Frome and has a lovely back story. And delicious wine, of course! Bath is also a short, 30 minute drive, meaning Frome is a perfect spot to base yourself for exploring Somerset! 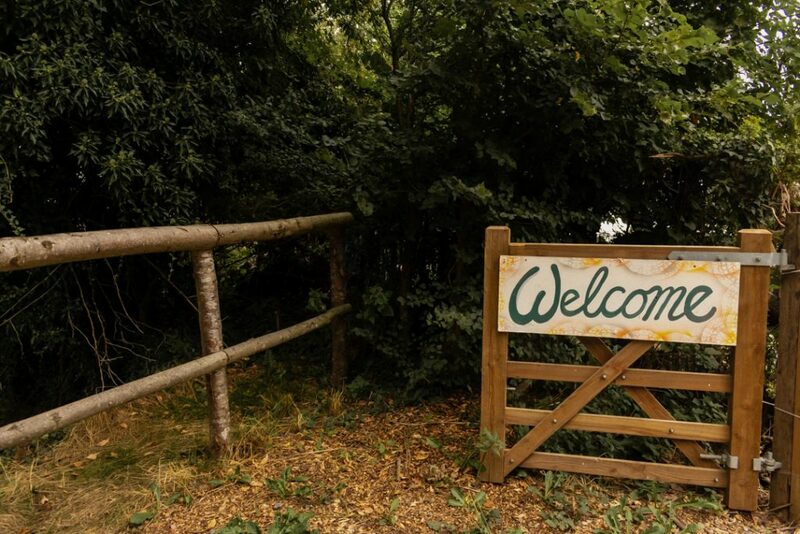 You can book a stay at Field725 by visiting their page on Campsites.co.uk. If glamping isn’t your thing (or if you prefer #vanlife), Field725 also offers camping pitches that are available year round! If you won’t be in Somerset anytime soon, you can also use the search functions on Campsites.co.uk to find other glamping sites in the UK. 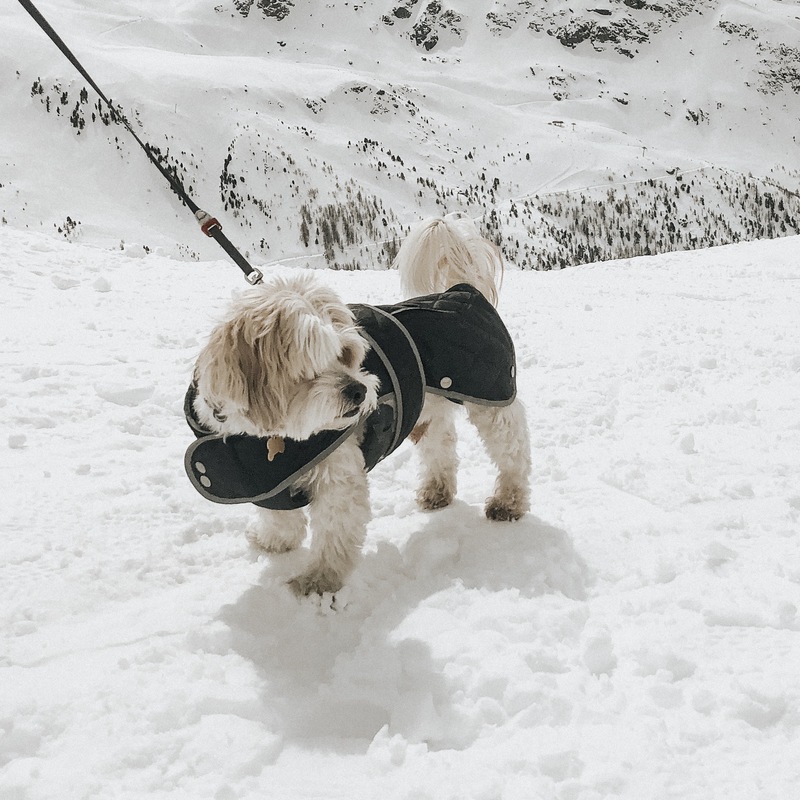 Not only can you filter specifically for Glamping, but you can search by location, look for dog-friendly places, and find sites that are ideal for couples. Campsites.co.uk even highlights some of the more unique glamping opportunities, which is how we found out about the Geodomes at Camp Katur and this converted double decker bus in Wales. Next up, though? We have our eye on the stunning Roundhouse at East Thorne in Cornwall! There’s no doubt that we’ll spend plenty of time browsing the glamping options on Campsites.co.uk – that is, when we aren’t returning to the sites we’ve already fallen in love with (Field725 is now on that list!). 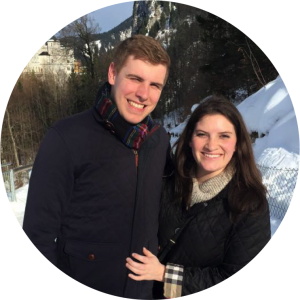 Thank you to Field725 for hosting our stay in exchange for this review. As always, all opinions are our own. Love glamping? 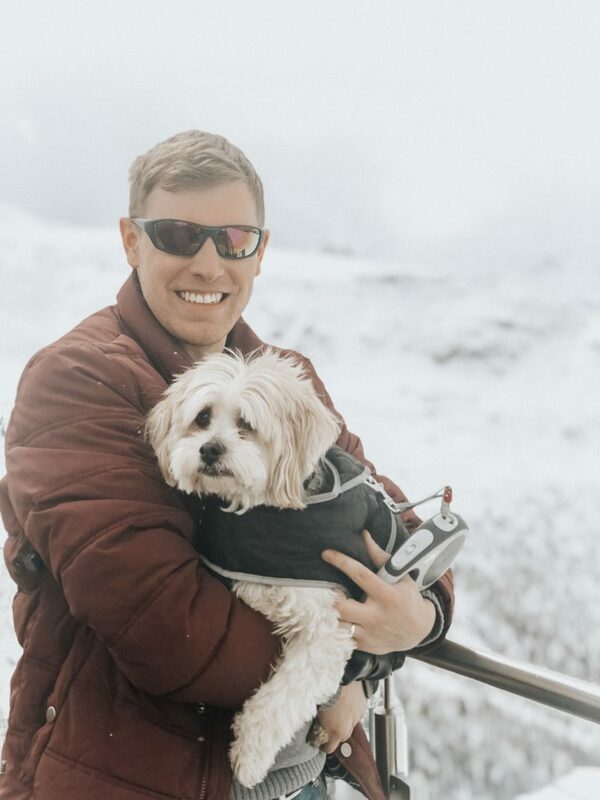 Check out these posts, too! This is definitely my style of camping! It looks very comfortable and fun! Only time I ever went camping I took my bed cover and blankets with me, I think glamping is definitely more me. I would love to try glamping! Our family normally camp in tents but after our last adventure, I am starting to think I am getting too old it. I want comfort all the time! Thanks for the inspiration. Oo this looks wonderful. I’m always looking for places to stay in the UK so will add this to the list. I can’t emphasise how much I love this! I love the glamping concept, I’ve done it a few times myself. But the furniture and decor of this tent is so spot on! Coincidental cheese festival!? What a brilliant holiday you must have had! Glad I came across this post. I loved reading it. Glamping is fun and we too do it all the time. The tent looks beautiful and definitely more spacious than most hotel rooms. I haven’t tried glamping yet but it looks so relaxing and cozy. Glamping has become pretty popular in the US too, but I still haven’t tried it! I actually really enjoy regular camping, but certainly don’t mind hotels! This looks like the best of both worlds though. I’d love to go glamping. I seek too much comfort to go camping and so this looks like it would be my style. The tent is huge, I’m quite surprised to see that from your gorgeous shots. Was the water for the showers warm? Lovely experience. Need to get out there soon!! I’m not familiar at all with glamping but it actually looks so lovely. And the tents seems to be super cosy and so well decorated. I’d love to stay there! Also, Somerset is such a lovely area with so many beautiful places.